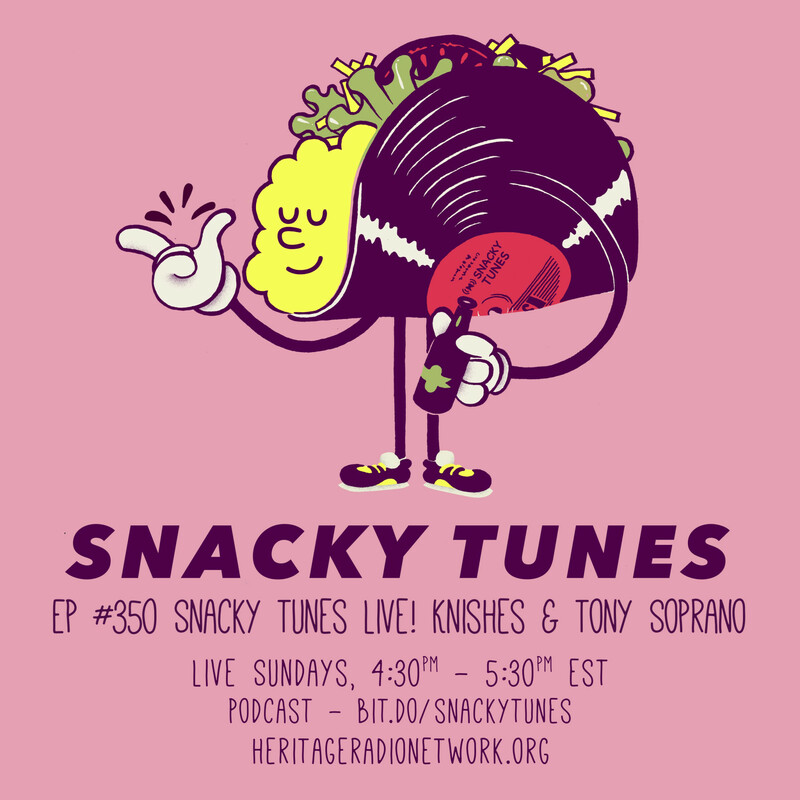 For our milestone 350th episode we stepped onstage in front of an audience at Los Angeles’ legendary El Rey Theatre for the first-ever Snacky Tunes Live show. It was an evening of soulful music, Italian-Jewish mashup food, Tony Soprano memories and we even tested people’s palates in a blindfolded game we call, “Super Tasters.” Many thanks to our partners on this incredible night: the mighty folks at Goldenvoice, critically acclaimed songstress, NIIA, the mensches behind Wexler’s Deli, Chef Micah Wexler and Mike Kassar, and DJ super pals, Dave P x 2 (Making Time/This Is Who We Are Now) and Russell Alexander (Babilonia). Most importantly, thank you for supporting our show all these years! Be on the lookout for info about our next Snacky Tunes Live event, which hits the stage this summer.